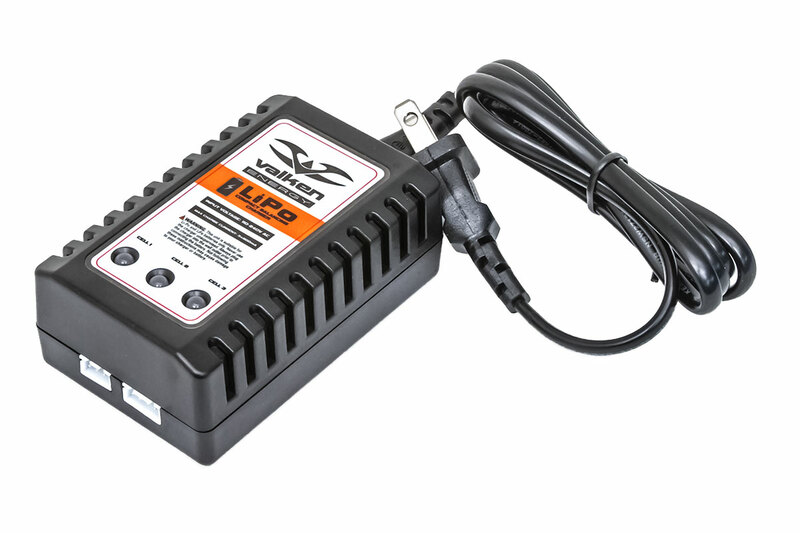 The Valken 2-3 Cell LiPo / Life Compact Balancing Charger is a simple charger that is able to balance and charge your Li-Po batteries. This charger extends the life of your battery by charging each cell individually to ensure that the cell is properly charged before use. The Valken LiPo / Life Compact Balancing Charger features a light weight and durable polymer case and is able to charge a battery with 2-3 cells. There are three bicolor LED displays to indicate the status of your battery cells.